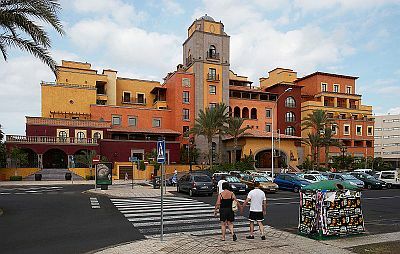 Hotel Europe Villa Cortes is found in Playa de las Américas, right on the sea front, overlooking the beach. From the sea, it stands out, due to the multicoloured buildings that form the mini-complex. Boasting five stars, this establishment offers excellent accommodation and facilities in sophisticated and elegant surroundings. The theme is Mexican and the hotel is modelled on the sort of traditional mansion found in that country. With superbly appointed rooms and suites, you will wallow in luxury throughout your stay. There are top-class gourmet restaurants, conference facilities and opportunities for relaxation in the spa. Each double room is luxuriously appointed in traditional Mexican style, consisting of bedroom/seating area and separate bathroom. There is a double bed, at the side of which is a sofa and a desk. The seating area contains an elegant table and chairs. The bathroom is well appointed, with authentic Mexican tiles surrounding the bath/shower and including a huge mirror, hair dryer and sundry complementary items. The rooms may overlook the ocean, the garden, or the street and can accommodate up to three adults, or two adults plus one child. Some junior suites may have an entrance patio, but all have ocean views from a spacious, open-air terrace. There is a luxurious bathroom with the authentic Mexican tiles and soft cloth curtains round the bath. 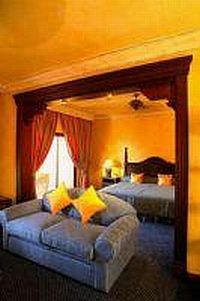 The bedroom boasts a queen-sized bed and is decorated in luxury Mexican style with handmade wooden furniture. The living room area contains a sofa-bed and a desk. The suites are distinctive for their luxury fixtures and fittings, with only the best materials used. The finest silk and satin is used for the curtains that cover the large French windows, overlooking the sea. A large terrace features its own sunbeds. There is a spacious master bedroom, with more than adequate storage facilities and a seating area. The luxury bathroom will take your breath away, with bath, separate shower, hair dryer, huge mirror and other luxury items. 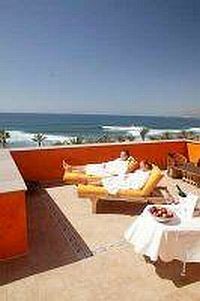 Villa Cortes suites have, in addition to the bedroom, bathroom and terrace, a separate living room. For the ultimate in luxury, the Villa Cortes boasts two Royal Suites. The MAZATLAN suite, situated on the 4th floor, covers an area of 150 square metres, plus a furnished terrace of 100 square metres. With the rich opulence of its decor, plus panoramic views of the Atlantic Ocean, this Royal Suite truly lives up to its name. 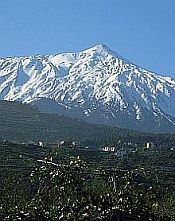 Accommodates four adults or two adults and two children. On the fifth floor and comprising the ultimate luxurious accommodation of the Villa Cortes, there is the HERNAN CORTES suite. With an area covering 150 square metres and a terrace of 200 square metres, you couldn't ask for more. It is arranged on two floors. 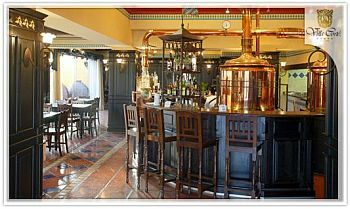 Found just inside the main entrance to the hotel, this German-style restaurant/bar evokes a Bavarian atmosphere, with German beer on tap and authentic dishes, prepared by a German chef. There is a large terrace area for al fresco dining. Pancho Villa - authentic Mexican. True Mexican cuisine, including favourites such as enchiladas, guacumole and nachos, plus marinated meat and fish, all prepared by a Mexican chef. At certain times of the year, there is also an authentic, live mariachi band for your entertainment. 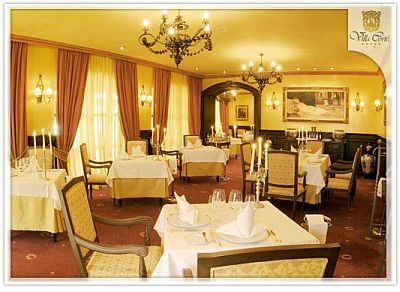 This is the finest and most luxurious restaurant of the hotel, where you can enjoy an a la Carte service with a superb menu of delicious dishes, in a sophisticated setting. To accompany your meal, there is a selection of fine wines, with a Sommelier on hand to help you with your choice. Styled after a Mexican dining room, this restaurant offers buffet service all day, starting with an extensive breakfast buffet. For meals later in the day, you can choose from the cuisines of Italy, the Canary Islands, the Mediterranean, Mexico and China. La Sirena - daytime dining. Situated above the gardens and swimming pool, this is an ideal venue in which to take a break from your sunbathing. The al fresco terrace restaurant offers light lunches, plus refreshing tropical drinks and cocktails, which you can enjoy while relaxing in comfortable sofas. Beach Club - daytime dining. Found right on the beachfront, this friendly bar/restaurant offers drinks, plus light lunches and seafood dishes throughout the day. Sofas and hammocks are provided for your relaxation. Located behind reception, this is the ideal place to meet and relax with soft piano music playing in the background. With its lush decor, huge French windows with amazing views, it's a great venue to chill out. 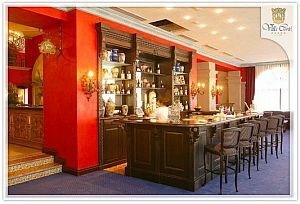 Found in the inner patio of Villa Cortes, this spacious bar offers a wide range of drinks and cocktails. In the summer months, it also features live bands. Situated on a terrace overlooking the beach and the ocean, this is the perfect place to enjoy a romantic sunset, whilst sipping a cocktail of your choice. Chill-out music and Latin jazz in the background helps with the mood. Villa Cortes boasts five separate conference rooms, accommodating up to 150 people. Fully air conditioned, they are equipped with all business facilities, including audiovisual equipment. Other features include a variety of menus, buffets, cocktails, coffee breaks and aperitifs.